With less than two weeks to go until the 2018 NHL Trade Deadline, speculation, and rumor-mongering have been kicked into hyperdrive, filling the league’s news cycle. For several weeks every season, the games themselves seem to take a backseat to the exciting and occasionally maddening prognostication as experts and novices alike attempt to pinpoint who is on the move, where they’re headed and who is coming back in return. It’s Hockey Christmas for everyone. Yes, even Arizona Coyotes fans! Fans of contenders wait with bated breath to see if their team pulls the trigger on acquiring that one player who could push them over the top and into hockey lore. Fans of cellar-dwellers and also-rans, numbed by weeks, months or even years of losing can at least look forward to the team’s sacrificial bloodletting, hopefully setting the stage for a brighter and better future. It’s a time of year when the league’s heavyweights, engaged with one another in an arms race, become even more powerful. But with great power comes great responsibility. General Managers around the league must not only attempt to “win” the trade itself, but must also perform the delicate balancing act of improving their team without disrupting the chemistry and success that put them in the “buyer’s” position in the first place. Just last season, Minnesota Wild GM Chuck Fletcher’s club owned the second-best record in the NHL at the deadline. He sent a first, second and fourth-round pick to Arizona for Martin Hanzal and Ryan White. 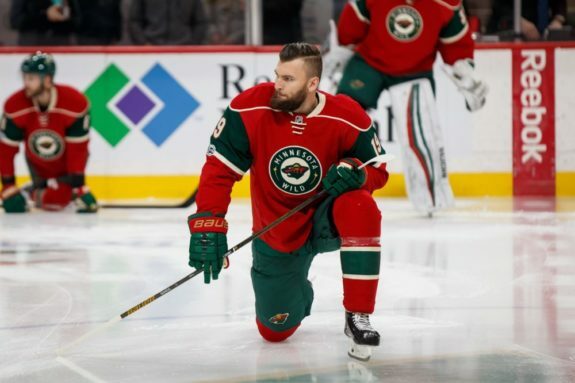 Though Hanzal (13 points in 20 games) played well down the stretch, the team’s balance was completely thrown off. A team that had accumulated 84 points over its first 59 games picked up just 22 over its last 23 before losing its first-round series in five games. With the 2017-18 Boston Bruins surging far beyond anyone’s expectations, GM Don Sweeney perhaps unexpectedly finds himself in the thick of things. The club is a contender, he’s the owner of a treasure-trove of prospects as well as an arsenal of future picks…the stage appears to be set for a big move. This trade occurred in the weeks leading up to the deadline, but, you know, cut me some slack here. In his first full season with the team, Oates registered 142 points in 84 games; only Phil Esposito has scored more. His 97 assists during that 1992-93 campaign are eclipsed only by Bobby Orr. What makes those numbers even more incredible is the fact that Cam Neely (the man who was supposed to be the main beneficiary of the trade) was limited to just 13 games that season, proving that Oates was more than just a playmaking sidekick to Brett Hull; he could be THE guy. To me, he is the most underrated player that ever played the game. Besides the obvious, Wayne Gretzky, I think he’s the smartest player that ever played the game. He would record 112 points in his follow-up campaign, helping Neely score 50 goals in a mere 49 games. In 368 games with the Black & Gold, Oates accrued 499 points, making him the most productive deadline addition in team history. Suffice to say, this thievery predates Steve Yzerman’s tremendous tenure as Tampa Bay’s GM. In an absolute fleecing of a deal, the Bruins acquired a future Hall of Famer with plenty left in the tank and a second-round pick for two guys who would combine to play just 46 NHL games. For two-plus seasons and 180 games after the trade, Recchi provided the Bruins with unparalleled leadership, veteran savvy, timely scoring and, not least of all, the organization’s first title in 39 years. “Rex” averaged nearly 50 points per 82 contests while playing a complete, 200-foot game, most memorably alongside current Bruins studs Patrice Bergeron and Brad Marchand. Moreover, the second-round pick acquired as part of the deal would also be spent wisely at the following trade deadline…. Dennis Seidenberg’s acquisition, like Recchi’s before him, paid dividends far beyond the year in which he was acquired. 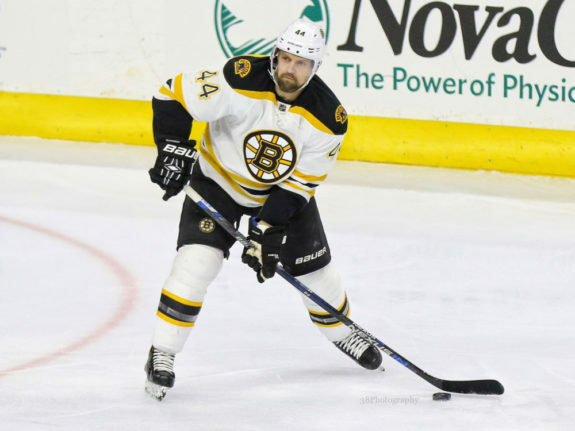 Brought into the fold to bolster a team fighting for its playoff lives, Seidenberg was felled by a lacerated forearm which sidelined him for the entirety of the 2010 Playoffs. One contract extension 13 months later, he was raising the Lord Stanley’s Cup above his head. Playing alongside Zdeno Chara on the team’s top pairing, the duo were impenetrable and unbeatable in the 2011 Playoffs, with Seidenberg’s plus-12 rating and 11 points both good for second on the team amongst defensemen. “Seids” would play over 400 games of steady to spectacular defense with the Black and Gold. Bartkowski also pitched-in during the team’s 2013 run to the Stanley Cup Final and would play 131 regular season games for the Bruins. The players going the other way, Bitz and Weller, would combine to play just 17 games in the NHL following the trade. So for those of you keeping score: In consecutive deadlines, the Bruins acquired Mark Recchi, Dennis Seidenberg and Matt Bartkowski for Alex Petrovic and four players who combined for 63 NHL games. The lone instance of the Bruins as full-fledged “sellers” on this list! Then-GM Mike O’Connell secured a HUGE (literal and figurative) piece of the franchise’s future core by selling-off from the cellar-dwelling 2005-06 team. Sergei Samsonov was an exciting talent and consistent producer over seven-plus seasons for the Bruins, recording 376 points. But with his contract set to expire and that year’s Bruins going nowhere fast he was sent to Edmonton where he and his new teammates came within one win of capturing the Cup. Though Yan Stastny and Marty Reasoner would accomplish little with the B’s (57 games, 14 points combined), the pick acquired turned into Milan Lucic. 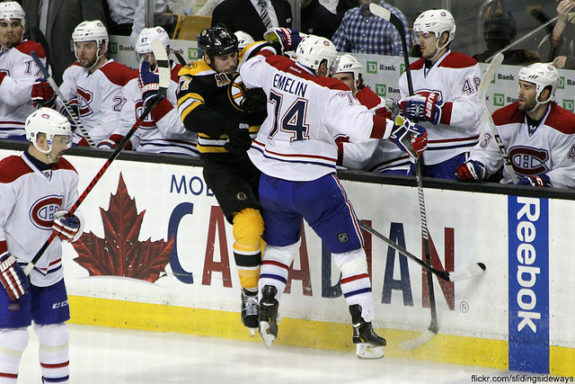 A power forward in the mold of Cam Neely and Wayne Cashman, Lucic became an instant fan favorite with his ability to punish the opposition both physically and on the scoreboard. In eight seasons with the Bruins, he registered 342 points and 778 penalty minutes, helping to turn the Bruins back into one of the league’s most formidable franchises. In a span of four years between 2011-2014, Lucic’s Bruins won one Stanley Cup, appeared in an additional Final and captured the Presidents’ Trophy in a third campaign. Moreover, the final year of his contract was parlayed (eventually) into two first-round picks, Sean Kuraly and Colin Miller. I acknowledge that this isn’t exactly finishing strong. Anti-climactic? Probably. But then again, so are most Boston Bruins deadlines. I could have included the 2013 acquisition of Jaromir Jagr here, sure. After all, those Bruins made it to the Cup Final. 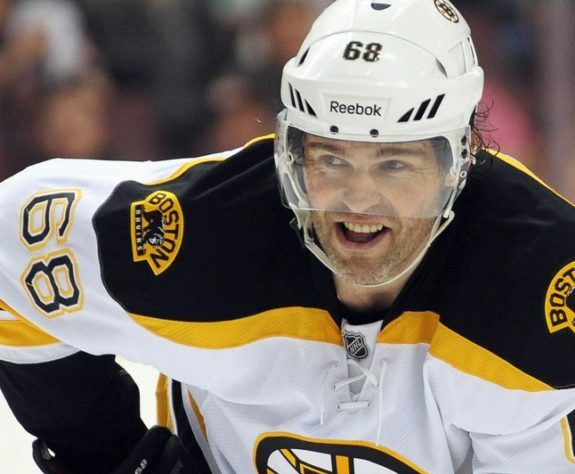 But Jagr himself was horribly snake-bit during Boston’s run, scoring zero goals and recording just 10 points in 22 playoff games, all while playing with two elite talents in Patrice Bergeron and Brad Marchand. Plus, the conditional selection sent to Dallas became a first-round pick once Boston made it to the Final despite emerging the loser. There was last season’s acquisition of Drew Stafford for what amounted to a mere fifth-round pick. Excellent value for sure. However, I don’t see how I could in good conscience list a player who scored six combined regular season and playoff goals and whose team lost in the first round. The 2011 acquisitions of Rich Peverley, Chris Kelly and Tomas Kaberle, when taken into account all together, played a huge role in the Bruins capturing their first title in nearly four decades. However, the acquisitions of both Peverley and Kaberle, in their own separate vacuums, were net-losses. Blake Wheeler (shipped out for Peverley) has developed into one of the league’s premier playmakers, scoring at roughly a point-per-game rate over the last three seasons. 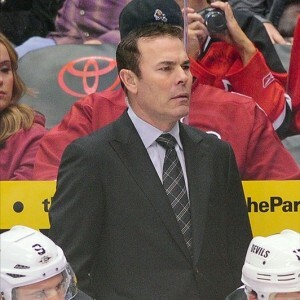 Kaberle, brought in to bolster Boston’s atrocious power play, failed to do so; the 2011 Bruins became the first team in NHL history to win a playoff series despite failing to score a single power play goal. Moreover, the draft pick shipped out of town turned into rising-star Rickard Rakell. So rather than list an underwhelming acquisition that worked out in the most technical of manners, I will instead take the Tom Brady route and suggest that it’s the next acquisition which, hopefully, will be worthy of mention on this list.